The ASCENT 30 S ski tour backpack was developed especially for men and women with short backs – the “S” in the name stands for SHORT. The back system of this backpack is significantly shorter. Like the ASCENT 32, the ultra-light and technical ASCENT 30 S is perfect for demanding days in the mountains. That’s why we’ve focused on the IMPORTANT THINGS and thought through every detail. This backpack is abrasion resistant but still extremely light thanks to the nylon 100D Robic Ripstop. Despite this reduction in weight we have of course still ensured high wear comfort: The foamed 3D back system distributes the weight evenly between the hip fins and the padded shoulder straps. 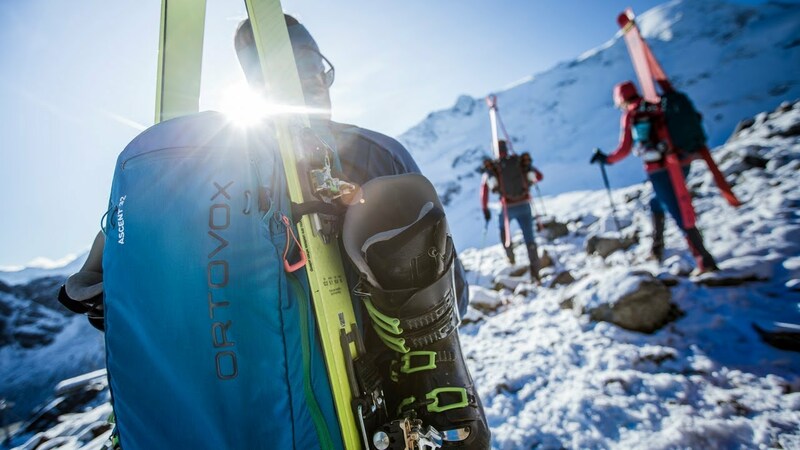 Features such as the circular zipper that provides quick access to your equipment, a map compartment, hydration system compatibility, as well as a diagonal ski attachment, an ice axe holder and a rope fastening, make the backpack what it is: a technical, ultra-lightweight backpack for challenging ski tours. The ASCENT 32 S also includes our emergency card: in the case of an emergency, the card provides information about the injured person and therefore allows for faster and more efficient treatment. Diagonal ski fastener, versatile in use. Quick access to the main compartment from the front. Classic side ski fastener, can also be used as a compression strap. Check out our product video to discover everything about our product and its features, and learn the right way to use it on every type of terrain with the help of our experts.